I am working as a WordPress developer for about 5 years now and Elegant Themes was the first WordPress theme club that I joined. This Elegant Themes review is based on my first hand experience with WordPress themes and plugins developed by Elegant Themes and their WordPress support. If you decide to buy a premium WordPress theme club membership, you should look mainly for three things. The quality of WordPress themes, value for money and the quality of after sales WordPress support they provide. Below you can find the detailed Elegant Themes Review on these three parameters. The quality of WordPress themes from Elegant Themes is exceptionally high. In fact, WordPress themes from Elegant Themes are probably the best in the premium WordPress theme market. You can check out all the themes released by Elegant Themes and test them right now on this page. As you probably just checked, all WordPress themes from Elegant Themes have unique designs, and they work exactly as advertised. As a WordPress developer, I can assure you that the code of the theme is also of very high quality. Also, their themes work great in all web browsers and operating systems. Elegant Themes provide support for their WordPress themes and plugins via their priority support forum. They have about 10 WordPress experts in their team who are ready to solve any of your questions as soon as you post them. At times, the response time is in minutes! Since the team members of Elegant Themes are from around the world, you get a quick resolution of your WordPress query irrespective of where you are located in the world. They have more then 85 themes available for download at the time of writing this review, and more themes are added every month, but they have separate support forum for each of their WordPress theme. This makes it very easy to find answers to WordPress questions by searching the individual theme forums. Elegant Themes also maintain a FAQ and a READ ME page for each theme that answers the most frequently asked questions about their themes. This makes finding answers to your queries even easier. 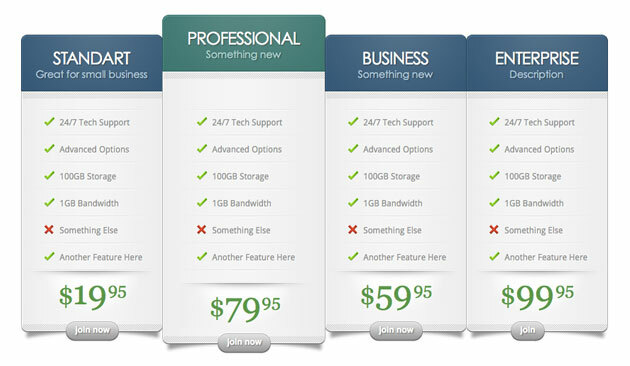 No premium WordPress theme club can beat the Elegant Themes pricing. Elegant Themes is probably the cheapest WordPress theme club today. You get all their themes for only $39 if you choose basic license and for $89 for developer license. The difference between basic and developer license is that in basic license you don’t get the PSD files for the themes, the plugins and you can use the themes only on your own sites. If you purchase developer license, you can download the PSD files for the themes, all the plugins and you can use these themes on your client’s websites as well. You get access to all of their 85+ themes for this price, with new themes added every month. They also update all their old themes from time to time to make sure that all the themes follow current web standards and are compatible to the latest version of WordPress. Apart from general purpose WordPress themes like portfolio WordPress themes and business WordPress themes, Elegant Themes also release niche focused WordPress themes from time to time. So far they have released WordPress themes for E-commerce, Restaurants, Directory, Real Estate, Resume, and Questions and Answers. You may have to pay more then thousand dollars to get a niche focused theme developed from a WordPress developer, but you get all these theme bundled in your Elegant Themes membership. 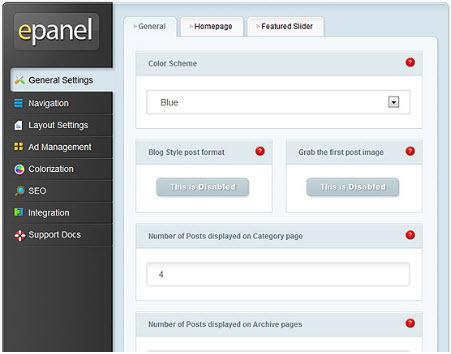 Elegant Themes come with an advanced theme options panel, which is called epanel in the Elegant Themes community. Epanel makes it really easy to customize the themes without touching a line of code. You can change the color scheme of themes, change the default layout, control featured slider, edit, hide or reorder navigation menus, change meta data section, manage advertising, SEO for WordPress, add google analytics and much more. 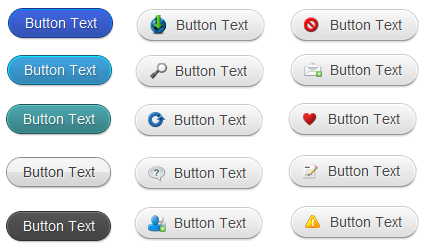 In short, you can do almost any basic customization in the theme using epanel. WordPress shortcodes are shortcuts that lets you insert special elements in the post or page contents without any knowledge of coding. The special elements include pricing tables, multi-column layouts, checklists with special icons, buttons, featured sliders etc. Elegant Themes comes with built in support for many advanced shortcodes, including all those listed above and many more. You can insert most of these shortcodes, like the buttons shown in the image above, from the post editor in a single click. For some more advanced shortcodes, like the pricing table below, you can use a very simple shortcode markup to insert this table in your post or page in minutes. All these shortcodes make it very easy to develop a professional website using WordPress. It also saves hundreds of man hours that would have been wasted in implementing buttons, pricing tables, featured sliders, multiple columns etc. 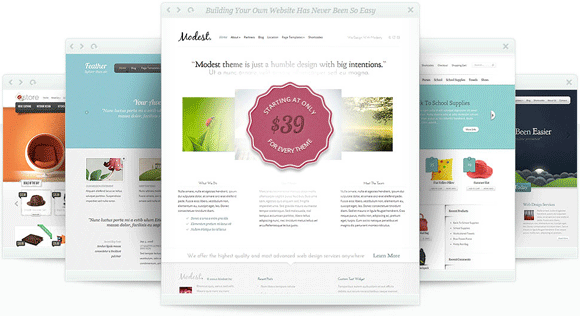 Elegant Themes comes with many page templates ready to use for your pages. The page templates include Gallery template, portfolio template, contact page template, sitemap template, member login template, full width page template, advanced search page template and blog feed page template. 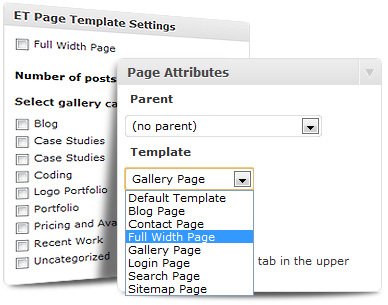 When you create a new page in WordPress, you can select the page template to use for the page, and you have a specialized page ready in a single click. Other then developing high quality WordPress themes, Elegant Themes has also created some great WordPress plugins. Here’s a quick overview of all of them. • HandHeld: This plugin lets you create a separate mobile version of your website automatically. Once this plugin is activated, your WordPress website will work great on any mobile device. • Elegant Page Builder: As the name suggests, you can use this plugin to create advanced page layouts for any page or post on your site. You just need to drag and drop various elements around and save it. • Anticipate: The Maintenance Mode Plugin that lets you add a coming soon page in style. You can also capture the email addresses of the visitor using the built-in subscription form and also redirect them to your website’s social profiles, including Twitter and Facebook. • Elegant Shortcodes: If you want to use the shortcodes integrated with WordPress themes from Elegant Themes in other third party themes, you can use this plugin to do it easily. You can get all these plugins for free with your Elegant Themes developer membership. And you can use all these plugins with any WordPress theme, irrespective of whether its developed by Elegant Themes or not. Other then the features highlighted above in the full Elegant Themes review, there are many more remaining. All the themes from Elegant Themes are translation ready, compatible with the latest version of WordPress and integrates well with most available WordPress plugins. 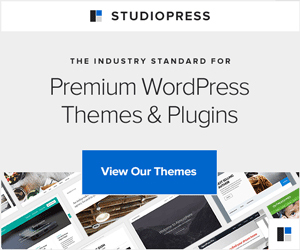 So overall if you are looking forward to join a premium WordPress theme club membership, then Elegant Themes is the best WordPress theme club for you.